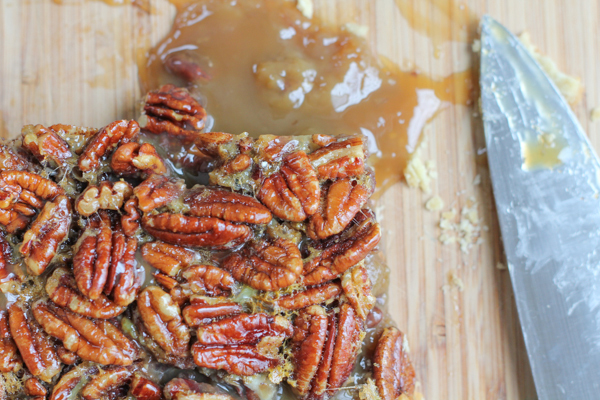 Reinvented Pecan Pie + A Giveaway with CA Olive Ranch! 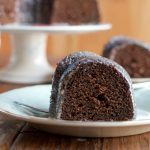 When I think of classic holiday desserts, only two come to my mind. Pumpkin pie and pecan pie. Two favorites of mine over the holidays and some may say these are pies that you don’t mess with. 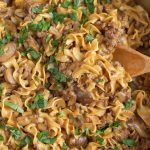 Many people have Pecan pie recipes that have been passed down from their grandmothers. . or your “go-to” recipe that you have been baking every year. Well, if you’re feeling adventurous and are willing to try something new and a little different, keep reading. I have something fabulous here for you. When the good folks over at California Olive Ranch reached out to me and challenged me with reinventing a holiday classic, I knew exactly what I wanted to do. 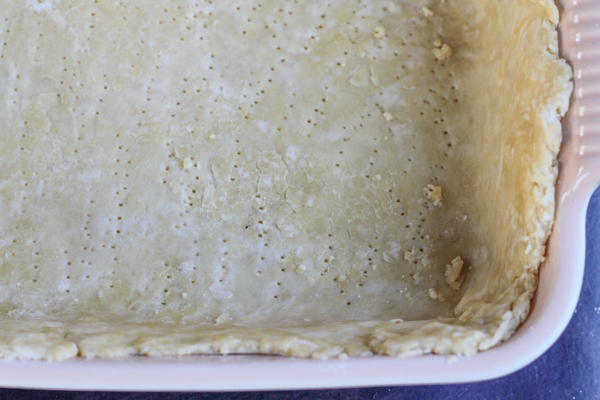 I am obsessed with olive oil pastry crust. I love the flavor, texture, taste, everything about it. 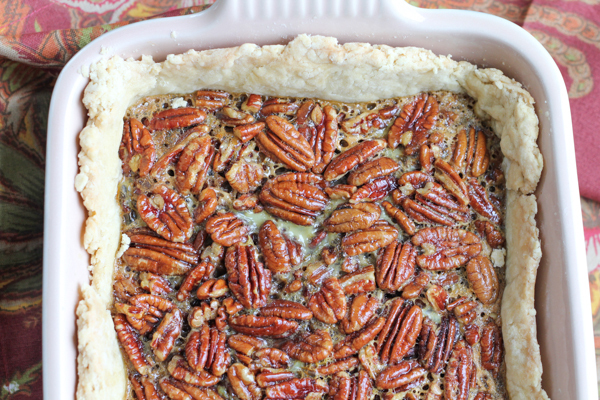 And it works amazingly well in this Pecan Pie Tart. Which, I might add, tastes fabulous. . now, if you bake a lot and know your crusts, you will realize immediately that there is no butter in the crust. 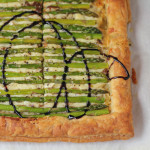 It’s an olive oil crust and, in this tart, has the texture of a crisp shortbread cookie. 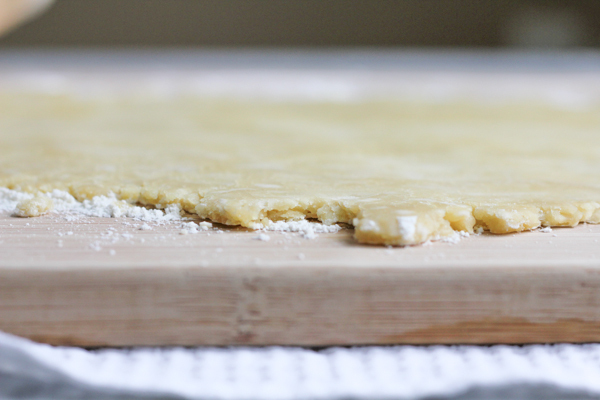 Start with your olive oil pastry dough. 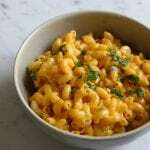 Roll it out, and transfer to your baking dish. Press the dough into the baking dish and then prick the dough with a fork. Your dough doesn’t have to come up the sides of the baking dish this much .. my crust ended up being a little tall so, once the dough is in the baking dish, you can trim the edges all around. Bake at 350 degrees for 15 minutes. Remove from the oven and allow to cool slightly. Pour the pecan filling into the pre-baked crust and bake for about 35 minutes, until the filling is set. Transfer the baking dish to a rack and let it cool for at least one hour if possible. 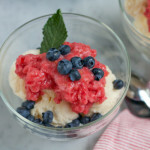 You can serve immediately or refrigerate overnight and serve chilled or at room temperature the following day. I refrigerated mine overnight to help the filling set and solidify more. Note: even with the overnight refrigeration, you might still get a little ooze when slicing. No need to worry though. This can easily be taken care of, or licked up. Just sayin’. 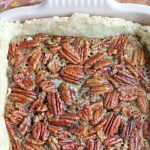 I hope you enjoy . . and for more incentive and encouragement to bake this Pecan Pie Tart yourself, we’re partnering with California Olive Ranch on a fabulous giveaway!!! Notes for the cook: 1. If serving immediately, be very careful when slicing. The filling will still be soft. 2. I refrigerated the Pecan Pie Tart overnight to help the filling set and solidify more. Even with the overnight refrigeration, there was still a little ooze when slicing. Overnight refrigeration highly suggested. This recipe fills a 9x13 baking dish. Using your food processor, combine the flour, salt and olive oil and pulse for less than 4-5 seconds. Sprinkle the very cold water over the flour mixture and pulse until the pastry just begins to come together, only for about 7-8 seconds; do not overwork the dough. 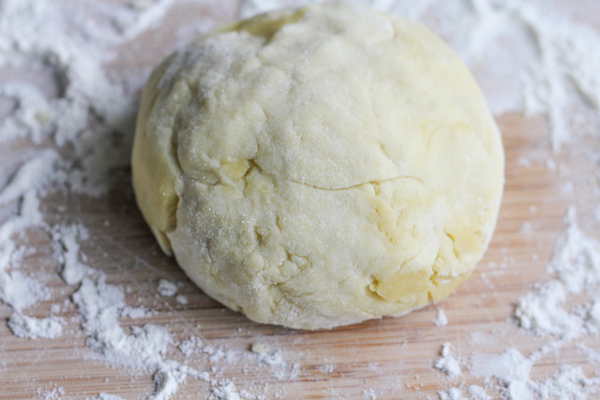 Transfer the olive oil pastry dough to a lightly floured work surface, gather it together to combine everything and form into a ball or mound. Wrap in plastic wrap and place in the refrigerator for at least 30-40 minutes before rolling out. Pour the pecan filling into the pre-baked olive oil crust and bake for about 35 minutes, or until the filling is set. Before we get to the giveaway here, I need to tell you more about CA Olive Ranch. If you cook with olive oil . . I cook with olive oil practically everyday. . you need to try this olive oil. Their extra virgin olive oil is absolutely fantastic and delicious. You can taste the difference. If you’ve tasted CA Olive Ranch extra virgin olive oil, you know what’s up. You can purchase some here or look for it at your grocery store. I have seen CA Olive Ranch at some Whole Foods. 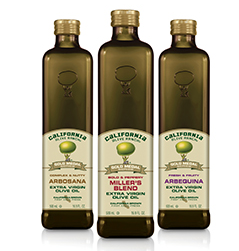 California Olive Ranch is giving away three (3) bottles of their fantastic extra virgin olive oil: Their Kitchen Essentials 3-Bottle Gift Box: A selection of their specialty oils that will enhance any dish. Includes a 500 ml bottle of our fruity Arbequina, a 500 ml bottle of the nutty and complex Arbosana, and a 500 ml bottle of their robust and delicious Miller’s Blend, in a gift box. ($50). 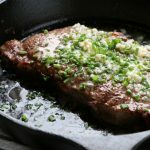 CA Olive Ranch has also partnered with Anolon. . and ONE lucky winner will also win a braising pan from Anolon!! Disclosure: This is a paid sponsorship post with CA Olive Ranch and I was provided with a set of CA Olive Ranch Extra Virgin Olive Oil. As always, all opinions expressed here are 100% my own. « Chocolate Cream Pie with Lágrima Vanilla + A Giveaway! I’ll make cheese and mushroom empanadas. 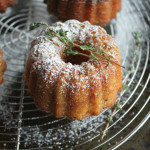 I’m starting to add olive oil to doughs and breads without a second thought, it gives them such an amazing flavor. 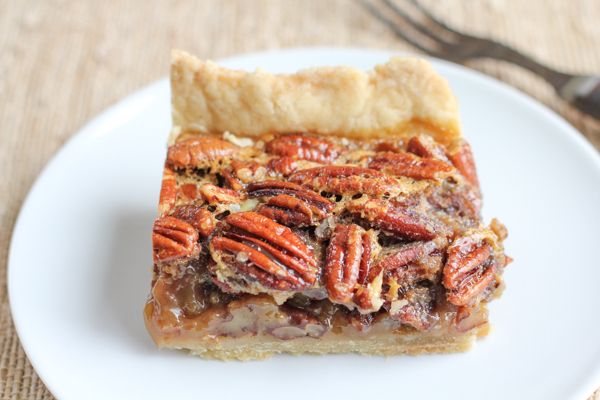 This is the perfect twist on traditional pecan pie Alice! Beautiful! Thank you so much Paula!! It’s amazing how much we enjoyed this one!!! There are a few things I am going to make more of such as eggnog bread. 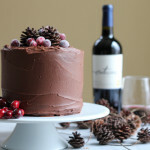 But I will also make a Guiness Chocolate cake and some eggnog cheesecake bars and an eggnog pound cake. I guess eggnog is a big theme in my family. Tamales is a must have in our home. We don’t have a family recipe per say but breakfast is pretty big for us on Christmas morning. We try to come up with new things but our favorite is crunch french toast! Love making my mom’s potato salad! I will definitely be making what was originally my little sister’s recipe for baked brie with fig jam wrapped in phyllo dough. 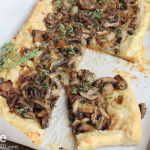 I love making galettes for the holidays – my favorite is butternut squash with caramelized onions and goat cheese. I plan to make Singapore Stir-Fry noodles. I’m making dark chocolate truffles! Wow… looks amazing! That crust looks so tender, and that gooey filling- YUM! I will be making peanut butter blossoms. Love CA Ranch olive oil by the way, just used some last night to make granola! I’m glad my Ralph’s carries it. My family makes a whole Korean dinner. Mandu, chap chae, kim chi, and many more. 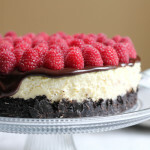 I will be making a chocolate peanut butter cheesecake, a family favorite here. We will definitely be making green bean casserole. 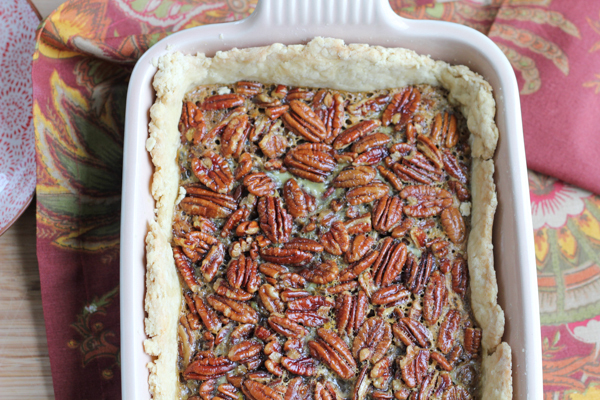 I am making the Christmas pie……..pecan. 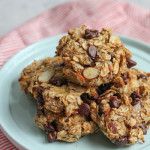 Will definitely be making some chocolate chip cookies with my kids. That is definitely a family favorite!! I will definitely be making seafood lasagna. I made gingerbread cookies for the first time this Christmas…and I will be remaking them because they are almost all gone already! I made a traditional family favorite – Cheesecake. 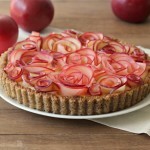 Working my way around pinterest and found your site, very informative and great pictures. Cherry Fluff and Reese’s Temptations – can’t show up for dinner without those two things.